Twenty years ago, flocks consisting of a thousand European Turtle Doves were a common sight in Serbia. Ten years ago, those flocks were reduced to a few hundred birds. Nowadays, the flocks are even smaller, merely a few dozen birds. As we speak, in Serbia these birds are still hunted in August and September. 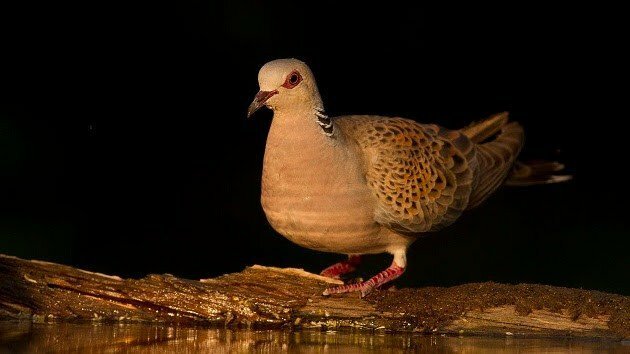 Turtle Doves have been declining in Europe since the 1970s, and in this century alone, the continent has lost 40% of its population of the species. Since this spring’s revision of the European Red List, the Turtle Dove is listed as a vulnerable species. In all European Union countries to the north and east of Serbia (except Romania), Turtle Doves are strictly protected. Money and effort are being invested in that protection. Then comes summer and the birds start migrating. And on their way south, they reach the killing fields of northern Serbia (Newsweek on poaching in the Balkans). The scale of massacres is such that in 2001 the Italian customs found 120,702 dead birds from Serbia in just one lorry. The cargo consisted of huge number of protected passerines such as larks and pipits, beside huntable species like Common Quails and Turtle Doves. The cargo was meant to be sold as delicacies to restaurants in Italy. It was only the first in a series of such cargoes. Admittedly, the later cargoes were getting smaller, ten thousand birds and less, due to customs officers’ increased awareness or the decreased number of birds or both. Local bird protection NGOs have been demanding a hunting ban on both Quails and Turtle Doves ever since. The demands have been persistently ignored by the Serbian government. A week ago, I spent a day in the Ministry of Agriculture and Environmental Protection of Serbia. I was there as a delegate of the Coalition of more than 50 Serbian NGOs gathered around a common goal – to protect two seriously overhunted species, namely the Quail and the Turtle Dove. Unfortunately, this meeting was not about their protection, but about the lack of it! Allow me to take you back in time, to November 2014. Representing the country – candidate for the European Union membership, the Serbian government delegation was in Brussels on a bilateral screening meeting for Chapter 27 on environment and climate change. The delegation shortly reported that the national legislation is completely in line with the EU legislation. But the representatives of the European Commission were up to their task, making the screening process very uncomfortable for the ill-prepared Serbian delegates. Soon afterwards, in late January the Coalition of environmental NGOs filed an official request to remove Quails and Turtle Doves from the huntable species and list them as strictly protected. Two state institutes for the protection of nature, the national and the provincial one, fully endorsed the request. Knowing that they cannot afford a new black mark in Brussels, the Ministry of Agriculture paid more attention to this request, the fourth in line. As a result, on June 19 the Ministry announced a two years hunting ban on Turtle Dove. Too little, too late – yes; but still a step in the right direction. What happened next? You guessed it right – the hunting lobby used their influence for political pressures. On July 2, in the National Assembly of the Republic of Serbia, the MP Nenad Canak asked the Prime Minister: “…about the closed season on African dove [sic] … where without any God’s reasoning more than 400 hunting tourists that should come in August will not be able to come, as there is no reason to come. … Italians come and leave money. That is the essence of the story and that was supposed to happen. However, for some reason unknown to me a closed season on African dove is instated…” (Source: the official minutes of the Assembly hearing). To that, the PM, Aleksandar Vucic, answers passionately: “I couldn’t care less what an African dove is, so much I can’t explain. When you told me – 400 people will not come and we could have taken their money and kept in the state vault, hey, I live for taking it and leaving it in state vault. Now we are supposed to protect African dove as well. I couldn’t care less for the African dove”. Under such pressure, on July 23 the Ministry of Agriculture has postponed the beginning of the hunting ban to October, after the closure of the dove hunting season. But by then, all surviving Turtle Doves are already in Africa, and those less fortunate await in deep freezers for their final flight to Italy. And that flight is illegal because EU legislation does not allow export of game meat from Serbia to EU. The Turtle Dove is not a trophy animal. No one is going to stuff it and put on a mantlepiece. It is being hunted solely for food, and those who kill them certainly want their meat exported by any criminal channel available. And by bending its own bird protection legislation to allow for 400 shooters to exercise their hobby, the Government of Serbia is indirectly encouraging poaching and smuggling. All that, as the PM Vucic said, to take their money and keep it in the state vault. For God’s sake, how much can we extract from 400 shooters, to make it worth encouraging large scale wildlife poaching and tainting the country’s name? And now, back to the meeting in the Ministry of Agriculture and Environmental Protection where we discussed the lack of the latter. To my surprise, I learned there what the price of the state’s reputation is. The Director of the Forestry Directorate told us that it is not that much at all, roughly 15,000 Euros (16,500 Dollars) plus hunting licenses and some other minor costs. Serbian government is selling out a threatened species to poachers to acquire funds that would allow it to, for example, buy one new car for the Ministry of Agriculture. After 14 years of campaigning for the protection of Quails and Turtle Doves, of which I was a part from the very beginning, all that Serbian NGOs have managed to achieve was a 34 days long hunting ban of the Turtle Dove that has already fallen during the closed season. The new hunting season started on August 1 and the first cases of poaching were already reported. Stay tuned. 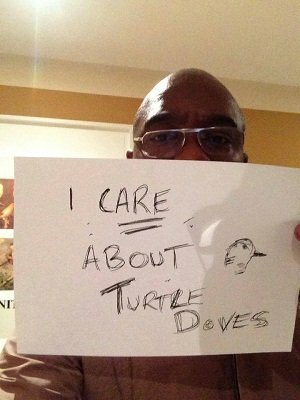 Thank you for uour efforts to save the turtle doves, Dragan. In addition to targetibg the Serbian government I also believe we need an awareness campaign in Italy. If tourists in Italy voice thier opinopns and stay away from rstaurants that serve quail and pgieon and other wild birds, Italy’s economy will suffer much more than the money lost because of 400 poachers. That is one interesting idea, Grethe, that might work if further developed with the LIPU, the BirdLife in Italy (see the comment coming from one branch of LIPU above). On the other hand, the Quail and Turtle Dove dishes may just go undercover and end up offered only by their local names, without any translation? Get Ready for Global Shorebird Counting!